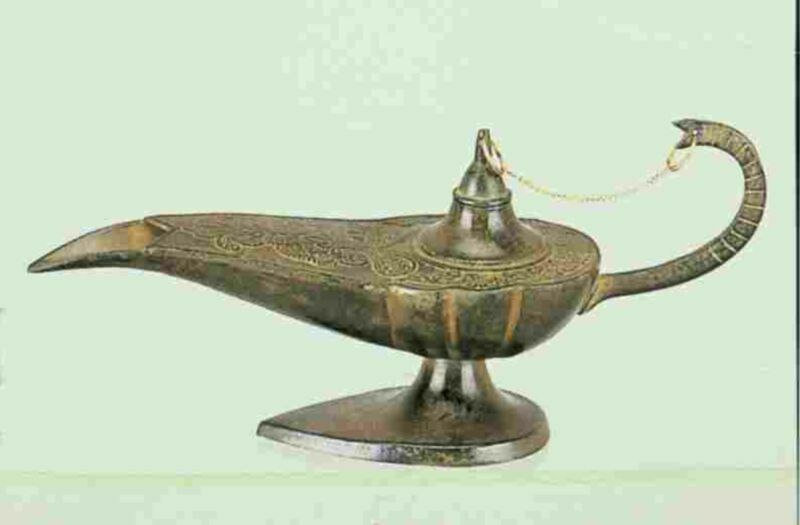 Description: This is a 4" long, brass Alladins Lamp Oil/Incense Burner. 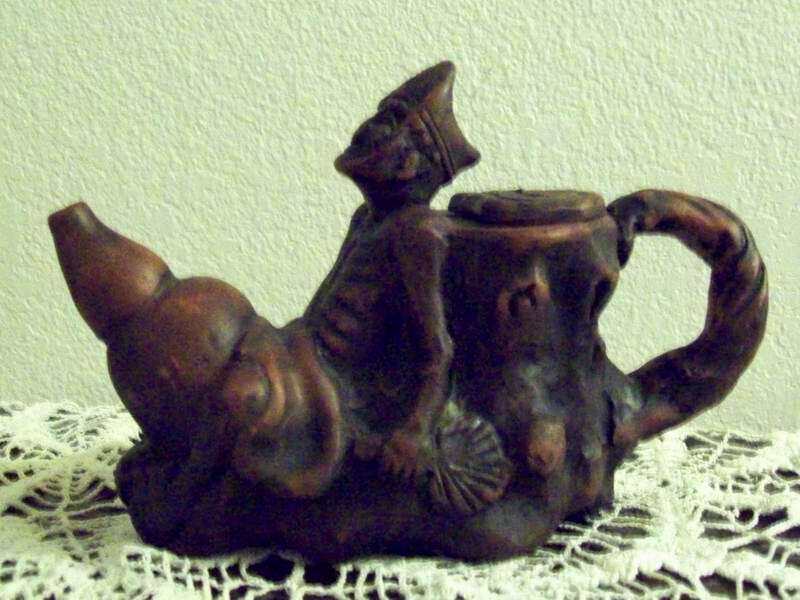 It comes with a cotton wick for buring oils or can be used as a cone of stick incense burner. 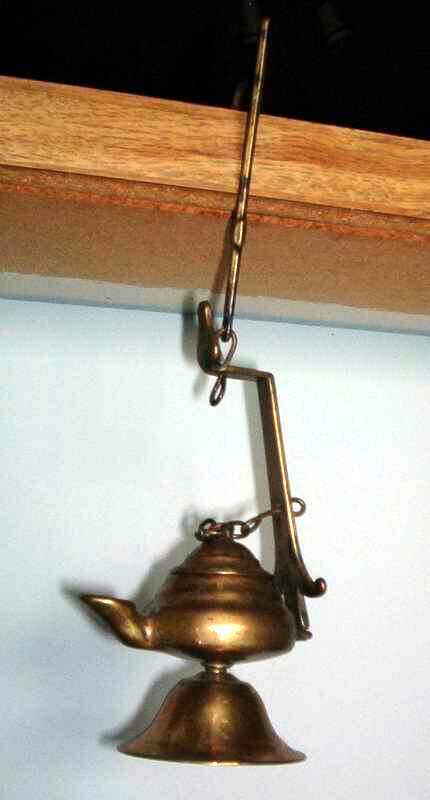 Description: The burner is 10 inches long , when hung, weighs less than a lb.and it!s brass. There is a little residue of whatever they burned at the bottom of it. 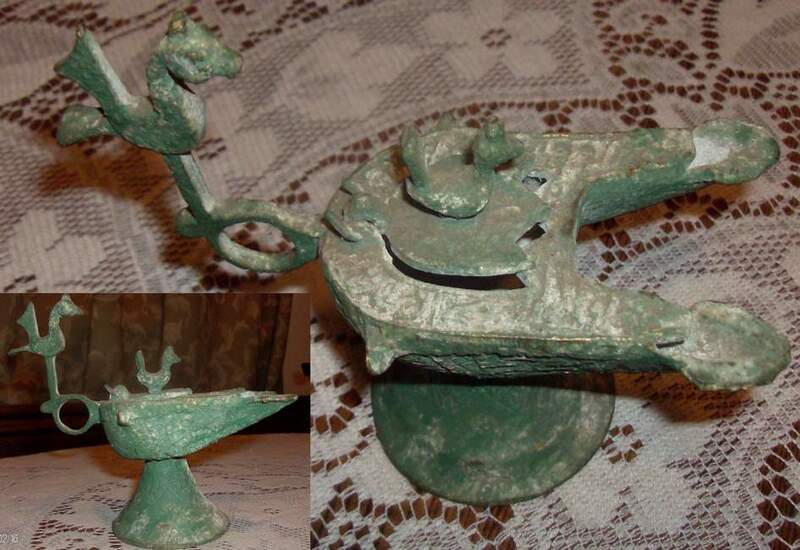 Description: This item could rather be a double wick oil lamp, with a bird shaped handle. Similar lamps have been found in oriental countries. Could be rather old (3-10 th).